Sarah was inspired to become a Lactation Consultant after experiencing her own breastfeeding challenges. In order to become a Board Certified Lactation Consultant, Sarah trained under Freda Rosenfeld and other well known lactation consultants in New York. Sarah taught group classes and was responsible for helping new moms at Long Island College Hospital in downtown Brooklyn 2010-2012. In July 2012 she took the International Board Of Lactation Examination. 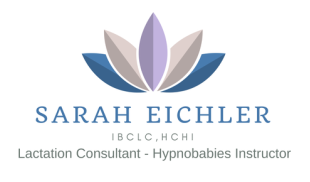 In 2016 Sarah becaome certified as a Hypnobabies Childbirth Instructor. Sarah helps moms achieve their birthing and breastfeeding goals. Currently Sarah has her own thriving private practice in Brooklyn, New York. Offering one on one consultations, childbirth classes and prenatal breastfeeding classes. 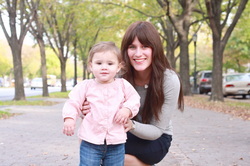 Sarah is a member of New York Lactation Consultant Association (NYLCA). Originally from Melbourne Australia, Sarah moved to Brooklyn, New York in 2007. She has three children, Ella, Tzvi and Eliezer. Ella was breastfeed unitl 5 months old when Sarah noticed her milk supply decrease. Two weeks later she found out she was expecting her second child . Tzvi was exclusively breastfeed until 2 years old and Eliezer was breastfed until 10 months (solids were introduced when each child showed signs). With this experience Sarah understands the challenges of exclusively breastfeed babies as well as bottle and breastfeed.